Suggested by iKnowledge Looks like it’s time for another battle of blade users. Robin and Sora are both very powerful and also have mastery over various elements. I believe where Sora takes the edge here is his array of super forms such as Final Form and Master Form. This allows him to better incorporate energy into his attacks and so it makes every hit lethal. Robin will be able to hold his own against Sora, but ultimately I see him pressing the advantage. He’s just got the slightest of edges in both speed and power, but that is enough to ultimately allow him to dominate the fight. Sora wins. 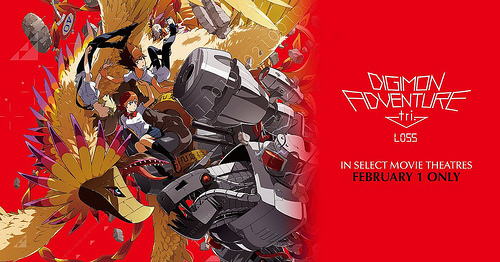 It’s time to look at the 4th film in the Digimon Tri series. This one finally has the gang head to the Digital World, but what does this mean for all of the ongoing plot lines so far? Well, they’re basically gonna get dropped for this film so we can focus on character introductions. This was a bit of a dicey call and I can certainly see how this would be the weakest installment yet. It basically just feels like filler for the most part and choosing to lead with a grainy low budget intro was…interesting to say the least. The scenes in the intro were interesting, but I wanted my high budget animation! So the film starts off by showing us the school agent back when she was a kid. Apparently she had been one of the chosen ones (Or not chosen depending on how you interpret the speech) along with the teacher guy and she had to watch the elders appear for the first time as they sacrificed her friend to save the world. Well, now she has found a way to bring him back, the reboot! Meanwhile Tai and the others are in the Digital World, but their Digimon haven’t gotten their memories back as expected. 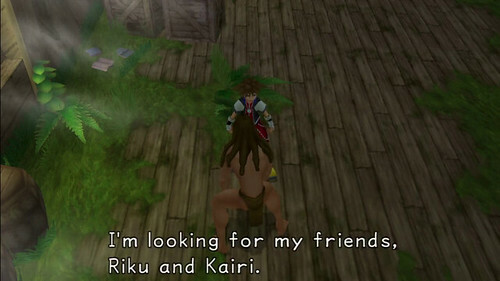 It’s no big deal since they all get along…with the exception of Sora and her Digimon. Can they reconnect in the middle of this crisis? They better get their act together soon because Mega level Digimon are after them! Sora is the main focus here as she goes through her personal dilemma. Was I on her side or not? Well, here’s the situation. The gang has arrived in the Digital World but their partners do not recognize them. The humans knew that beforehand but they held out hope that the Digimon would just remember somehow. Sora is no exception and since her Digimon wants nothing to do with her she takes it pretty hard. I’d say that part of the problem on her end was that she was rushing the whole thing too much. You can’t expect to become friends with someone again over night like that. Granted, part of the reason why she got such expectations was because the others did the same thing so quickly. Naturally she gets a little jealous about the whole thing and since she is used to bottling her feelings up, Sora doesn’t do a great job of handling the situation. Naturally this is all leading up to the fact that I was not on her side. Not only should she not blame Tai and Matt at all, but her issue doesn’t even seem as big as the others. If she didn’t get emotional every time Biyumon yelled at her she would be in a far better position. Now lets talk about more serious dilemmas. Unfortunately this is the first film to really get wonky when it comes to the power levels. It is quite noticeable even if you don’t usually focus on things like that. Gabumon is able to cancel out an energy blast from a Mega level Digimon despite being only a rookie. Then another rookie is able to stun the Mega. At that difference in power the attacks shouldn’t even be noticed. Rookies can rarely even damage champions, a mega is too much of a stretch. This is definitely an issue that I would say falls with the writing. The film appeared to be trying to create a sense of danger and suspense for the heroes and figured that putting them in such a dangerous position was the way to go. That was not actually the case though because the writers went too far so when the heroes make a comeback or delay the inevitable like in those scenes it just doesn’t work. The film should have just not used a Mega right off the bat or the heroes should have kept their ultimates. That would have made a difference. As far as the soundtrack goes, it’s only natural that this film could not top the last 3. That’s because this is the first installment not to feature the excellent danger theme that I always like to see. You can’t just cut out the best theme in the series like that. We also don’t have the techno intro but we have other insert songs at the ready here so it seemed like a fair trade. It’s still a reasonable soundtrack but one that is now missing a little impact. The animation continues to be consistent here. If you liked it in the first 3 parts then I don’t believe that this would change here. The fights are solid and the landscapes are on point. The character designs/animations may still be a little pale but as they don’t have their iconic costumes I suppose that it can’t be helped. As far as Dark Jedi goes, the film does its best to make him as unlikable as possible. He goes through the trope of licking one of the heroes for shock value and to make sure you know that this guy is batty. So much for being the calm and collected mastermind right? The FBI agent is also going downhill fast as her final scene already negates her sob story. The other agent is certainly taking his time figuring this all out as well. I’m just ready for Alphamon to show up and start wrecking everyone again. Having the King of Digimon show up soon would also be a lot of fun. Unfortunately this movie didn’t bode well for Meiko and Meicoomon either. Both of them panicked under pressure when the going got tough and made the villain’s job quite easy. The other Digidestined should also be blamed to an extent as they totally ditched her without any good reason. The whole point of the mission was to protect her and yet they left to go on their victory lap. Really? That also seemed very plot convenient. Also, the heroes had many chances to attack Dark Jedi (They even knew to call him Dark Jedi pretty quickly) but they kept just not doing so. At some point you have to step up and make an attack. Only Joe actually tried here and naturally it didn’t go well. I appreciated the attempt though. If the heroes had knocked him out that could have helped the situation quite a bit. So while this film could have certainly be handled better, you’ve still got to give it credit for building a compelling story. The universe around the characters still feels nice and mysterious the whole time. The villains operate in the shadows so most of the residents in the world don’t even know what is happening. While certain scenes can be frustrating, at least you do care about what is going on. I’ll give a more thorough breakdown of the various plot lines and such in the final film so hopefully it is able to tie everything together. Overall, This installment seemed to be buying for time to an extent. If you didn’t know any better you would almost assume that there was some kind of change in writers behind the scenes as the story definitely seems to be changing directions. That’s not a bad thing per say, but hopefully they do have an end goal in mind as I still have quite a few questions that need to be answered. Even if there may be some missed opportunities by the end of this series at least the plot is still engaging and I don’t expect that will change. Naturally if you saw the first 3 films then I’d recommend checking out this one. If you have not, then maybe you could jump on here and still enjoy the film as it’s a reasonable jumping on point but you will be missing some context which will make the scenes less emotional. Suggested by Destroyer “It always ends the same way” is probably one of the best quotes in all of Final Fantasy. “Can’t smile about that one” is a close second. The reason these quotes are so awesome is they give Cloud a lot of depth. He is incredibly powerful and he knows it. 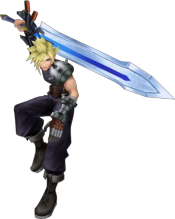 Sora is also strong with all of his Keyblade forms but he just doesn’t have the speed or raw power to take Cloud on. Once Cloud’s limit is on deck, it’s all over. Cloud wins. 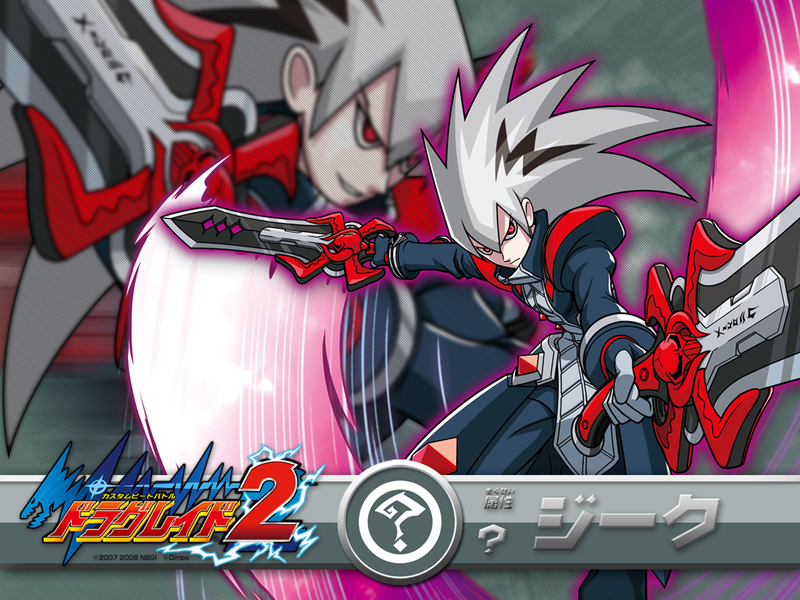 Suggested by Destroyer Zeke is a strong fighter who excels at close quarters combat. The same is true of Sora although the Keyblade master is proficient from all ranges. He has an array of powered up modes which he can use to fight Zeke. When Sora enters Final Form that will be curtains for Zeke, there just isn’t much that he can do against that. Sora wins. This is another manga where I got to start it a long time ago, but didn’t finish until recently. The manga needed a remake for the ending to finally make it to America. Well, it’s definitely a pretty fun adaption. It doesn’t do much to go above and beyond what it was given from the game, but still puts a good amount of effort into it, making this a solid manga to read whether you’ve played the game or not. 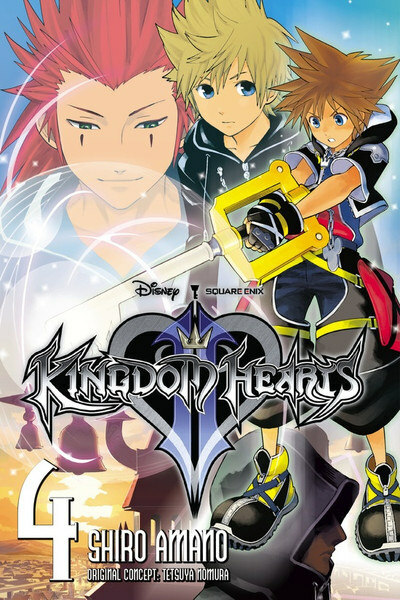 The plot actually begins with Roxas since due to the ending of Chain of Memories Sora is still out of commission. Roxas gets to enjoy a few days with his friends, but quickly finds out that his destiny is a sad one as he must fight his way to Sora only to give his body up and fade away as a Nobody once more. A Nobody is a character who is a literal shadow f the main body and while Roxas can keep his soul, he loses his heart. The process is rather intricate, but the long and short of it is that Roxas makes the hard decision to sacrifice his life. We then go back to Sora as he must lead Donald and Goofy on one last mission to take down the evil Organization XIII and save the world. The villains want to use Kingdom Hearts to open the gate between dimensions and I believe this will end up destroying everyone or swapping places with the Nobodies. It’s been a while so I’m not 100% concrete on the details. It doesn’t change the mission of the heroes though and Mickey/Riku, as well as many other fighters are doing their parts to stop the organization as well. While the manga can’t get to every single world it does adapt as many of them as possible. 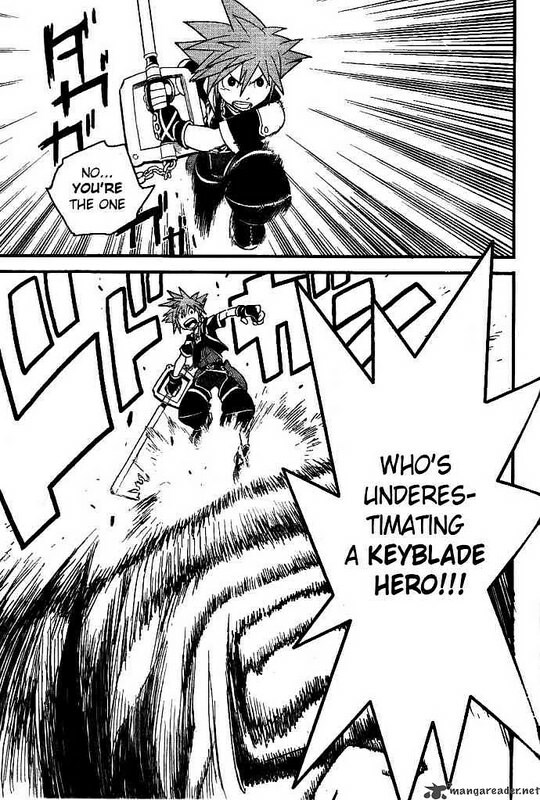 As it’s the longest of the Kingdom Heart manga titles, I would expect no less. 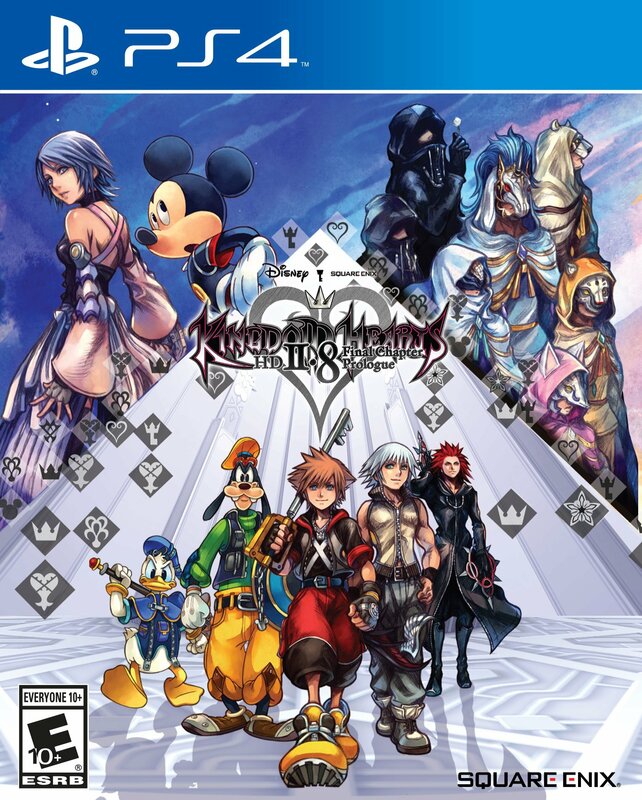 Kingdom Hearts 358 seemed rather long at last check though, so I’m only fairly certain that II is still the longest. It gives you a good amount of time to get used to the characters and see the universe as opposed to jumping from fight to fight like in many adaptions. Although, that is a really good tactic to use as well if we’re being honest. The manga is certainly a direct continuation to the others though so I would recommend checking them out before reading this one. I’m fairly certain that it will help you enjoy this one more. The art isn’t bad. When the manga goes for its action scenes it can get quite detailed. Not in a convoluted way, but in a way that enhances the action. Sora’s rage mode is depicted well towards the climax when he believes that his friends were murdered. On the other side, the manga does rely a little too much on exaggerated facial expressions for the gags. A tense scene will suddenly turn into a comic relief moment at the drop of a hat. I think the game did a better job at separating the comedic and tense moments and never being too over the top with the comedy. While those artistic moments aren’t my thing, it’s not a case of the art being bad. It’s probably one of the better manga adaptions when it comes to art. My only real negative with the series is what I mentioned in the art section right above this. The big jumps from comedy to serious to comedy again can be a bit jarring. I think the manga probably goes a little overboard on the comedy instead of being more subtle. Still, that’s basically it and when that’s your only negative you know that the title is pretty good. The series ends with a mild cliffhanger as the heroes are called away to the castle for some reason, but you could also interpret it as just the manga’s way of saying that a hero’s journey is never over. I barely count cliffhangers like that myself for this reason. 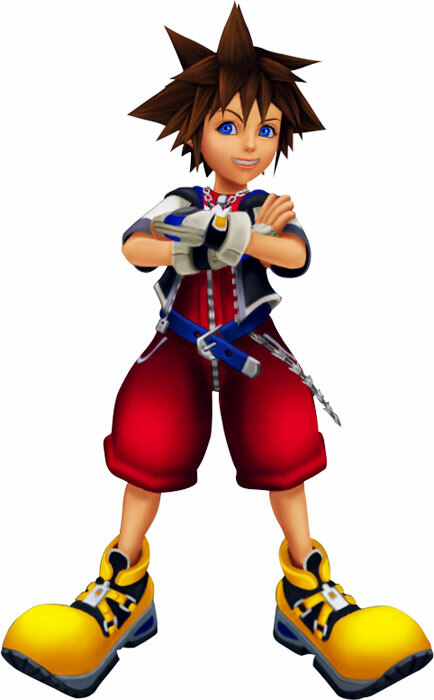 Sora is still a solid protagonist as always and I do like him more here than in the original Kingdom Hearts. Sora is a lot more confident in his abilities at this point in time and has proven himself on many occasions. He can definitely fight with the best of them now and his new costume is cool as well. His final team up battle with Riku is definitely a lot of fun and it’s a fight that the original Sora would probably have had a lot of trouble with. Riku’s role here is certainly not as shady as in the original game since by this point he has basically mastered the powers of light and dark. 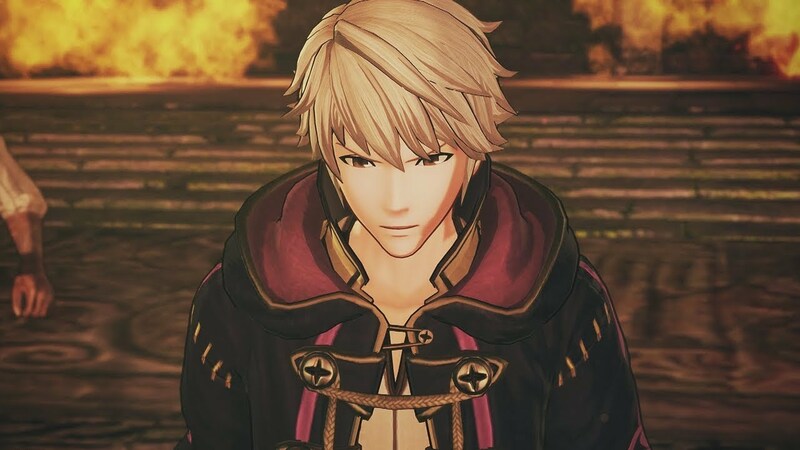 If you think about it, it makes sense that he would be one of the strongest characters in the series. It’s rare to wield both elements. Most of Organization XIII shows up here and many meet their demise which basically closes this chapter of the series. They all have their own unique personalities which is good. The best member is probably Xehanort. He has a great design and can fight really well too. I also liked the member with the blue hair (Vexen I believe) and Axel isn’t bad either although he can be a little wishy washy. The group definitely has a lot of real characters in their ranks. As far as the Disney characters are concerned, they all appear to be in character. Even though the crossover is mainly with the Disney characters, I admit that I look forward to the Final Fantasy ones more anyway. Unfortunately I don’t think they actually keep in the Cloud vs Sephiroth fight, but it’s possible that I just don’t remember it. It’s been a long time since I read the first few volumes of the series after all. It’s still hard to believe it went on for a full 9 volumes before being re released in the omnibus format. So while I don’t mention the Disney characters much, their inclusion definitely makes the series even more fun. Who doesn’t know the classic Disney characters like The Beauty and The Beast? While I can’t really take them seriously in a fight against the Organization characters, I suppose they’re tough enough for the Heartless. It’s always good to see a familiar face among the characters and hopefully for Kingdom Hearts III we finally get the big team up with all of the old Disney and FF characters for a big climactic battle. Overall, This is definitely a fun manga. It’s got a good amount of action and a good cast of characters. I’d definitely recommend checking it out. 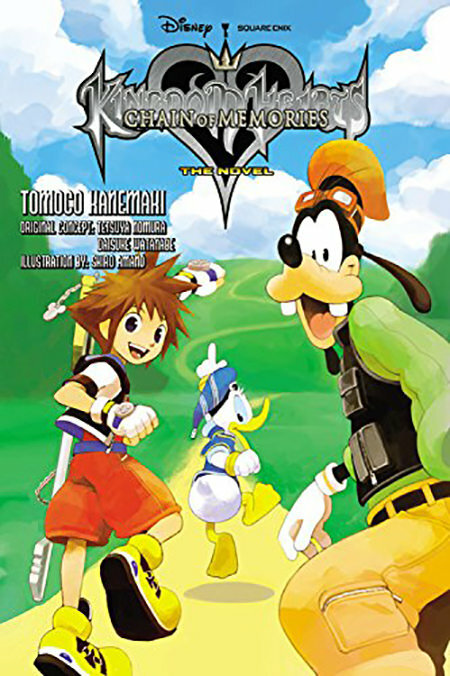 It’s probably the best of the Kingdom Heart manga titles although Chain of Memories puts up a good fight. I always really liked that game/manga. It was short, but had a bunch of fights. It’s similar to the Battle Frontier in the Pokemon anime. 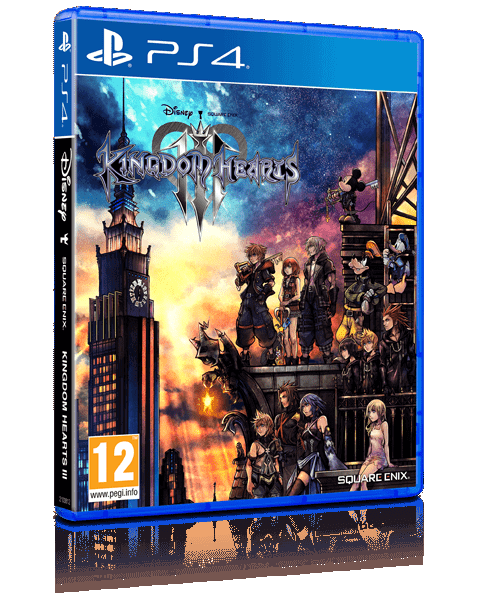 Still, with the extra volumes Kingdom Hearts II definitely had more time for a lot to happen. Reading all of the different titles back to back would probably be fun. It’ll be tough for 358/2 to top this one, but I’m looking forward to seeing it try its best!